A group of Flower Mound residents are thankful for a wildfire that scorched an important part of their community. 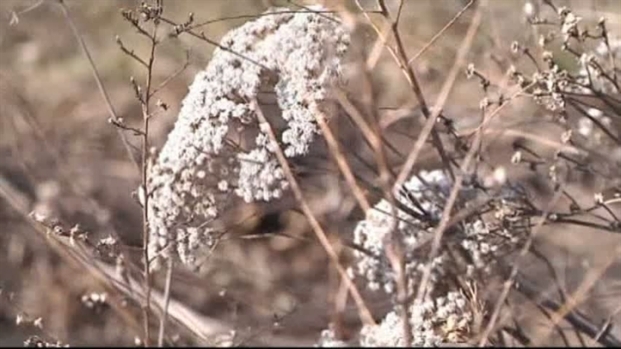 The hill that the town is named after was scorched on New Year's Eve, but preservationists say this wildflower season may be much brighter because of it. Marilyn Ligon, a science teacher who also works with Keep Flower Mound Beautiful, said the burned land creates an ideal condition for wildflower growth. "In this case, the ground is dark," she said. "It's going to absorb the heat better. Now, the seeds will actually germinate faster, and you will have better wildflowers." More Wildflowers Expected at "Flower Mound"
Burned land at the "mound" creates an ideal condition for wildflower growth. Fireworks are believed to have caused the fire. Marilyn Lawson, who works with The Mound Foundation, a group that wants to preserve the prairie land, said it burned 40 percent of the mound. When the blaze destroyed much of the wildflower sanctuary, residents worried for the homes nearby. "I found that none of the houses were affected, and I was elated," Mary Ligon said. "This took the place of a lot of work that we have to do." "We have been wanting a controlled burn for a long time, but we haven't been able to do it because of the houses nearby," Lawson said.